I got a new laptop & I want to know what's a good free video editing soft ware ? I like to make videos & edit then but I don't know how to shoot professionally yet with my camera . I want to make videos but idk how to start . I like how (jennxpenn) a YouTube entertainer & vlogger edits and films but how... show more I got a new laptop & I want to know what's a good free video editing soft ware ? I like to make videos & edit then but I don't know how to shoot professionally yet with my camera . I want to make videos but idk how to start . I like how (jennxpenn) a YouTube entertainer & vlogger edits and films but how does she film , pause cut . If you did a while video without pausing it or stopping wouldn't it waste your SD card I don't get it help please ? Best Answer: FileLab is a freeware video editing program for just about all platforms (Mac, PC, etc...). It runs in your browser using a simple plug-in download. It has many transition and video effects, very good title editor, and customized color correction to include brightness, contrast, hue, saturation, and gamma. What professional video editing software do you use to edit video? Video Editing Mac VS PC? Suggest me some quality photo editing and video editing softwares.? 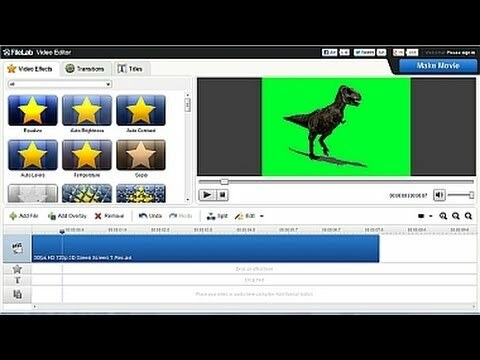 Best video editing software for short videos?